What's the point of having a lovely television and sound system if you have nothing decent to play on it? That's why the Video Streaming Service of the Year (in association with Freeview Play) is so important. 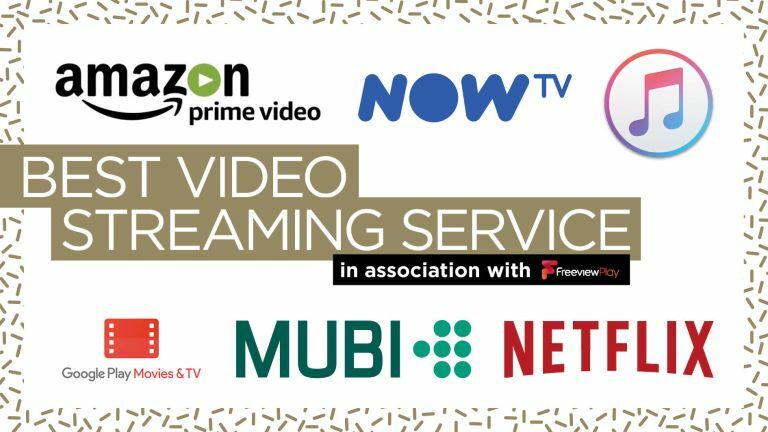 Whether the model is paying a monthly fee to watch as much as you want, or paying for individual movies and box sets (or a combination of the two), video streaming services are a modern-day essential. Here's our pick of the very best. Only one can win a T3 Award, but in a sense they're all winners. Amazon's offering really came of age in 2017, with some superb original content, an improved user interface and probably the widest array of content of any of these services. That's because Amazon Instant offers the option of both subscription and on-demand viewing. The pick of its original shows was probably Preacher, which came out of indie comic left field to win over a big following. If you've got an iPhone, iPad, or Apple TV, iTunes is without doubt the easiest way to watch video, regardless of whether you’re relaxing at home or out and about. It's been around so long that iTunes feels positively old-fashioned - no subscription service (yet) and no Apple-exclusive movies and shows (yet) – but whether you buy or rent your content, the quality and choice is superb. Apple's ace up the sleeve: a wealth of bonus content, available via iTunes Extra, including deleted/alternative scenes and commentaries. The world's largest search engine also does video, don'cha know? And it does it very well, too. Like iTunes, there's no subscription service, but everything bought/rented on one Google device will be available on all of your other, innumerable, Google devices. The best bit about Google Play Movies is its search and recommendation function, as well as some very generous discounts. Add easy compatibility with Chromecast and voice control through Google Home and you have a very special service. Mubi is a subscription-based service, but totally different to Netflix or Amazon Prime. Its USP its endlessly fascinating curation of art house classics, world cinema, incredibly obscure gems, leavened by the occasional blockbuster with interesting art design or unusual themes. If you're more into Ingmar Bergman than Michael Bay, this is undoubtedly the streaming service for you, and preferable to high-brow rivals BFI Player and Curzon Home. What is there left to say about Netflix? It remained the world's favourite streaming service in 2017, and went from strength to strength with its home-brewed offerings. Stranger Things was arguably the hottest TV show of last year, but there were plenty of other classics, from the consistently hilarious Unbreakable Kimmy Schmidt to the batsh*t mental The OA. With subscriptions to suit everyone from tablet viewers to owners of multiple 4K tellies, Netflix remains a tech-entertainment institution. Sky's online offering gets forgotten about amidst all the clamour over Sky Q and the Premier League, but it should not be underrated. A stunning mix of 11 channels of must-see TV (and Geordie Shore), it also gives users access to Sky's wealth of movies and sport on an on-demand basis. No Sky TV subscription is required and the pricing is very keen.